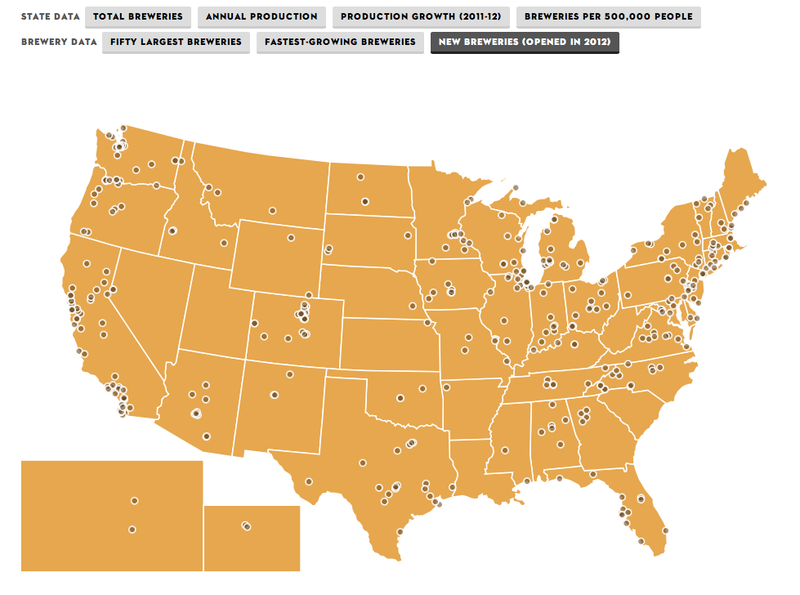 Look out Budweiser, As of March, the United States was home to nearly 2,400 craft breweries. Thanks to this handy interactive map from the New Yorker you can see just how big a phenomenon the craft movement really is. It gives me hope that Americans are embracing beer that actually tastes good vs. beer supported by massive marketing budgets! More info here. On that note, is it beer o'clock yet? Via.